The city would like to congratulate the graduating seniors of the Sugar Hill Youth Council. 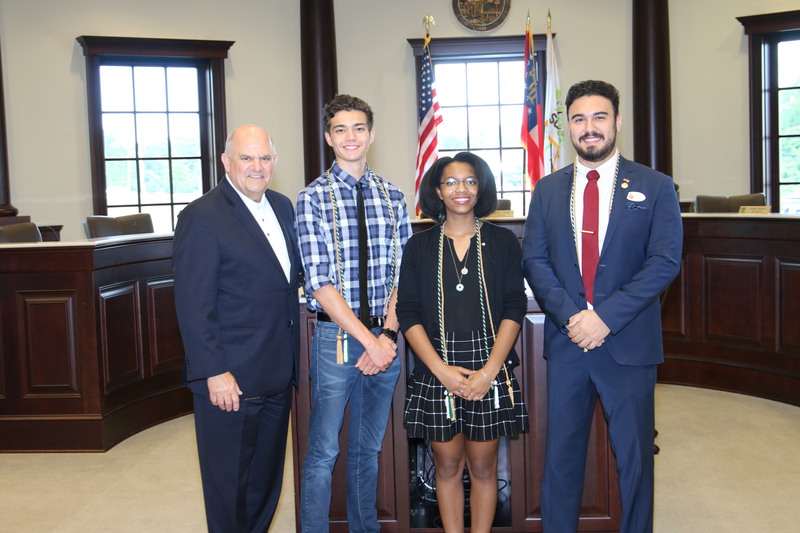 Spencer Grace Willams (Youth Mayor), Kaan Cubukcu (Youth Mayor Pro Tem), and Ethan Shaw (Secretary) have all played an integral role in the city’s youth council over the past several years. Thank you to each of you for your service and best of luck in your upcoming endeavors! Ingrid Bolton “Georgia on My Mind” Art Show – Currently on display!